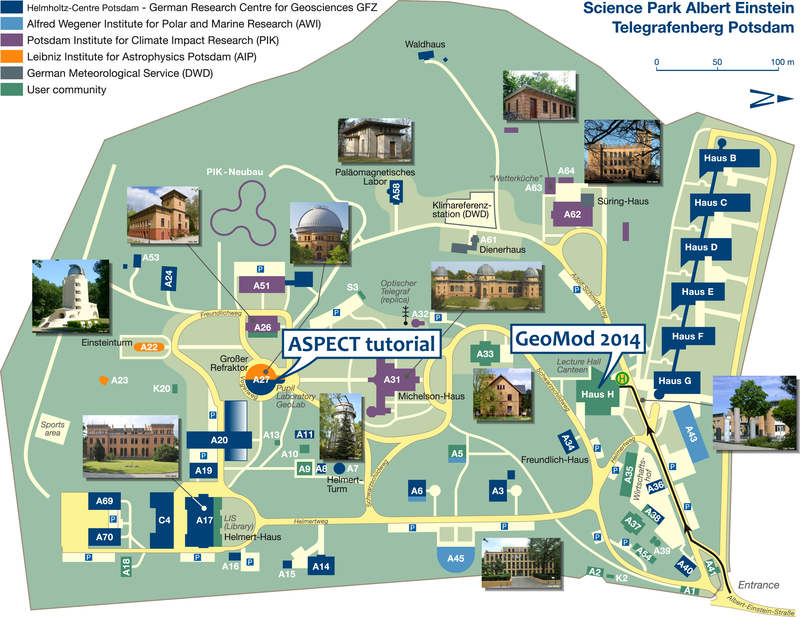 The GeoMod2014 conference took place in Potsdam, Germany from 31 August to 5 September, 2014. 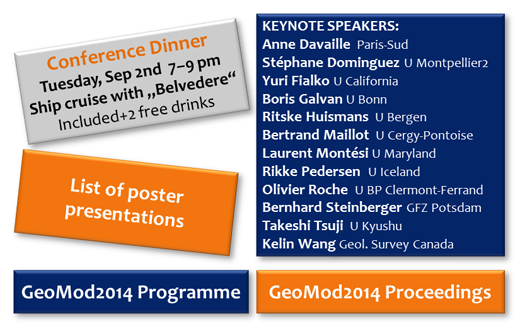 Welcome to the GeoMod2014 conference! 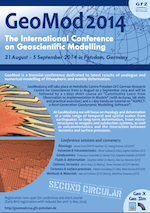 GeoMod is a biennial conference dedicated to latest results of analogue and numerical modelling of lithospheric and mantle deformation. At GeoMod2014 we will focus on rheology and deformation at a wide range of temporal and spatial scales: from earthquakes to long-term deformation, from micro-structures to orogens and subduction systems, as well as volcanotectonics and the interaction between tectonics and surface processes. The conference will be followed by a 2-day short course on "Constitutive Laws: from Observation to Implementation in Models" (lectures, lab visits and practical exercises), as well as a 1-day hands-on tutorial on the ASPECT numerical modeling software (see here). GeoMod2014 will take place at Helmholtz Centre Potsdam GFZ German Research Centre for Geosciences from 31 August to 3 September 2014. 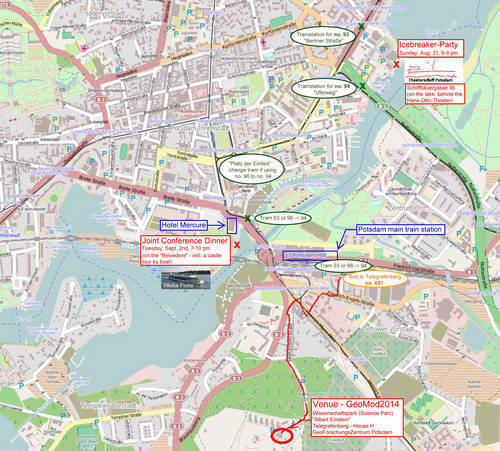 The short course and tutorial will take place at the same venue from 4-5 September 2014. All fees include lunch during the conference, the conference dinner on tuesday evening, and the ice-breaker party on sunday evening. Participation in the short course and/or ASPECT-tutorial, will cost extra fees of 30€ and 15€ respectively. We are happy to announce that we are able to offer a refund for the conference fees as well as support for travel costs for selected students with outstanding contributions to the conference. If you are interested to apply, please follow the usual registration procedure, upload your abstract and send an email to us. Please submit your application for financial support until the 30 April 2014. We will inform you about our decision in the first week of May, i.e. early enough to register as Early Bird.